Everyday Paramedics are on the front line of human pain and suffering. Each day they spend their shifts dealing with the sick, injured and dying. They are exposed to body fluids, new life and death. They are usually among the first on scene and can encounter anything from a minor cut to a major incident including death. 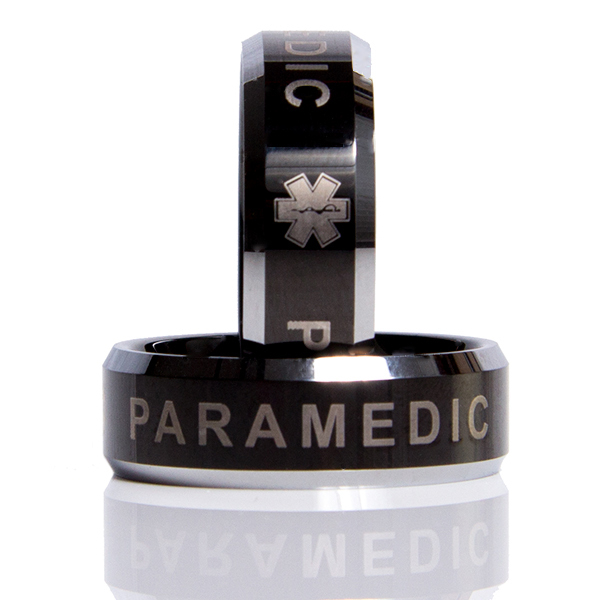 The 911rings Paramedic rings are a good recognition for men and woman who serve us daily and could be the ones to save your life.